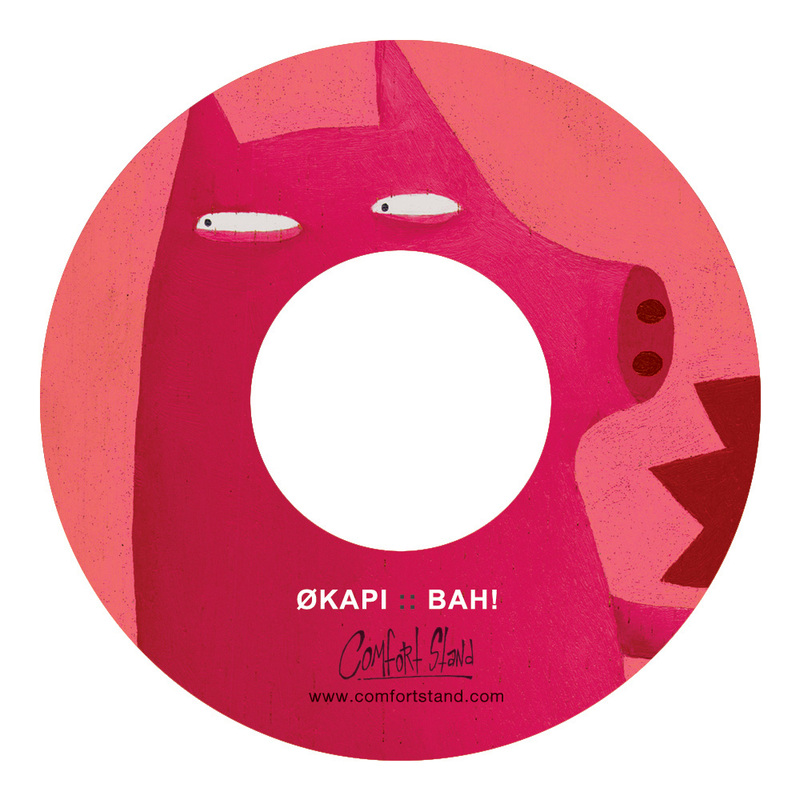 Comfort Stand Recordings — Økapi - Bah! Artwork by Økapi. Illustration by Camilla Falsini. Thanks to Zu, Dada Swing, Maurizio Martusciello, Metaxu, Dalek, People Like Us, The Brain. 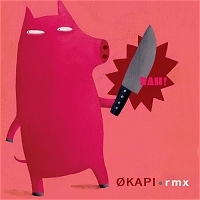 As a child, Økapi studied piano, drums, violin and solfeggio at conservatory, with such poor results that he decided to give up his plans to become a professional musician. Then, after some positive experiences in the field of musical improvisation, he began to study graphic art, and learned to steal the works of others and to use them in a personal and creative way. With this new DIY attitude, he returned to the world of sound, and began to make his own tape collages for his personal amusement using a tape recorder (no mixer, simply using the pause button). In 1992, he established a small pirate publishing house for comics and tapes called Slap Press, and became an active member of M.A.C.O.S. 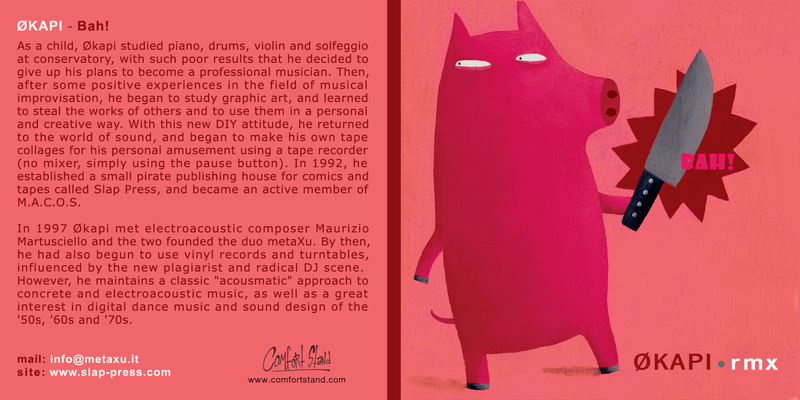 In 1997 Økapi met electroacoustic composer Maurizio Martusciello and the two founded the duo metaXu. By then, he had also begun to use vinyl records and turntables, influenced by the new plagiarist and radical DJ scene. However, he maintains a classic "acousmatic" approach to concrete and electroacoustic music, as well as a great interest in digital dance music and sound design of the '50s, '60s and '70s.